There is a whole world of knowledge to be had about axes and their proper use, but I am not going to go into that. 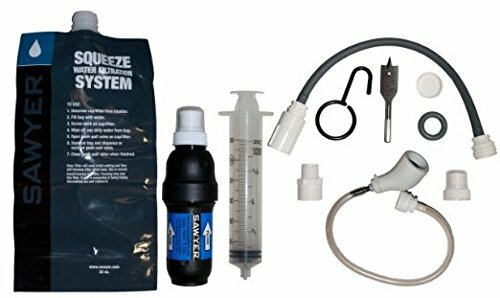 From a survival/prepper point of view, there are a few things you need to know. There are two parts of an axe you need to understand, the handle and head. Handles can be wood, metal, or fiberglass. Some axes are one solid piece of steel with a rubber handle molded on. To me, the type of handle isn’t important, however I do prefer wood as I can always carve a new handle if mine breaks in a long-term survival situation. But then again, breaking a solid metal axe would be a real feat. I think handle material is a personal choice. The axe head is the solid metal blade that is attached to the handle. Although there are a number of variations of axes depending on their intended use, the Forest (or Boy’s or Range, or American etc) axe is typical of a long-handled axe for general wood cutting and survival use. The head will weigh between 2 and 2 3/4 pounds and the handle will be between about 18 and 26 inches in length. Properly using an axe is not rocket science but there are techniques that need to be learned. Many unskilled people injure themselves with axes. For a good reference on axe use try The Ax Book. The full-sized axe is good for serious firewood cutting, breaking through doors or out through walls. 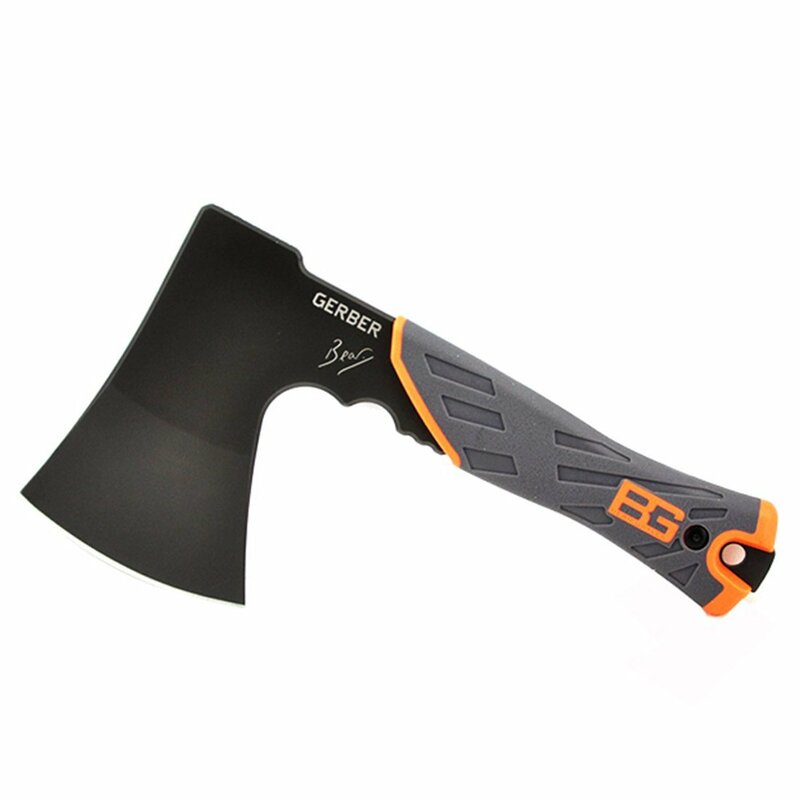 I recommend that you spend a little extra to buy a quality American or European made axe instead of an inexpensive Chinese copy. Husqvarna from Sweden makes a good one. Once again, terminology can often be confusing as these are often refereed to as hand axes, survival axes or camping axes, but the idea is that they are smaller axes designed to be used primarily with one hand. 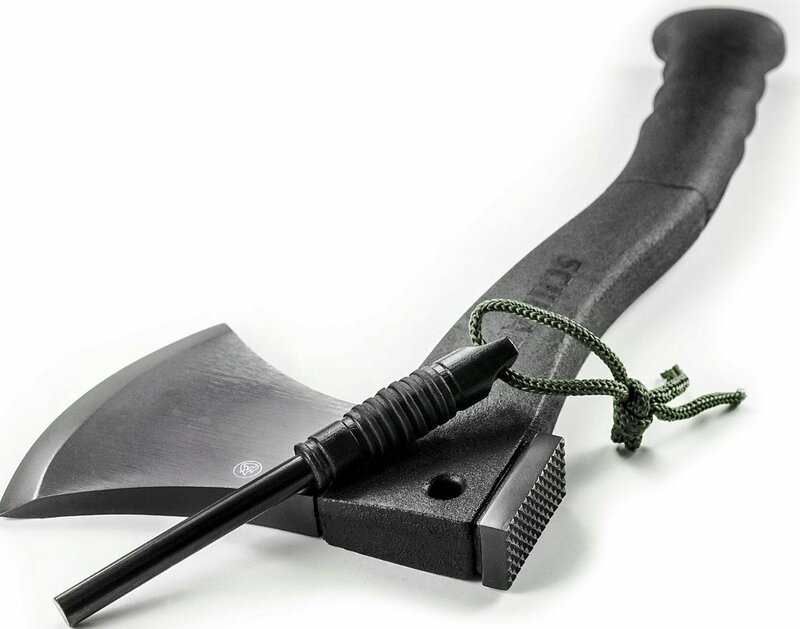 A number of companies are making hatchets aimed at the survival market. Gerber markets the Bear Grylls Survival Hatchet. 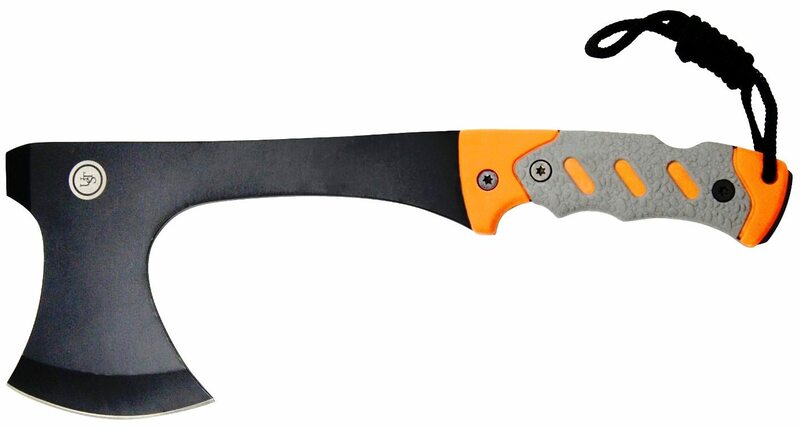 Schrade markets a survival axe they call the SCAXE2 This is an excellent design that includes a fire sharpener. The striking pommel is deeply serrated. These three are simply examples of the large number of hatchets/camping axes available. Do your research and buy a quality axe from a reliable manufacturer. Having the ability to saw through wood or bone can be a definite advantage. Sawing small limbs for firewood can often be done easier with a light saw than either your knife of hatchet. 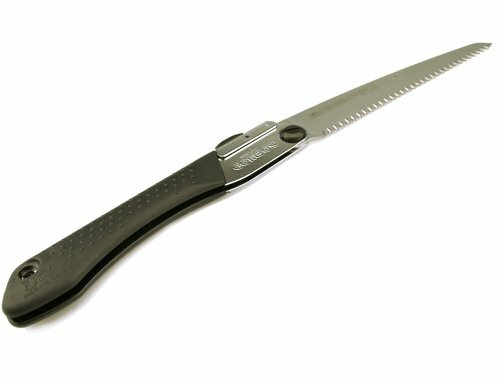 If you are homesteading or bugging in, the wide variety of hardware store saws can be used for any sawing requirement. But for your bug out kit, you would need something smaller and lighter. 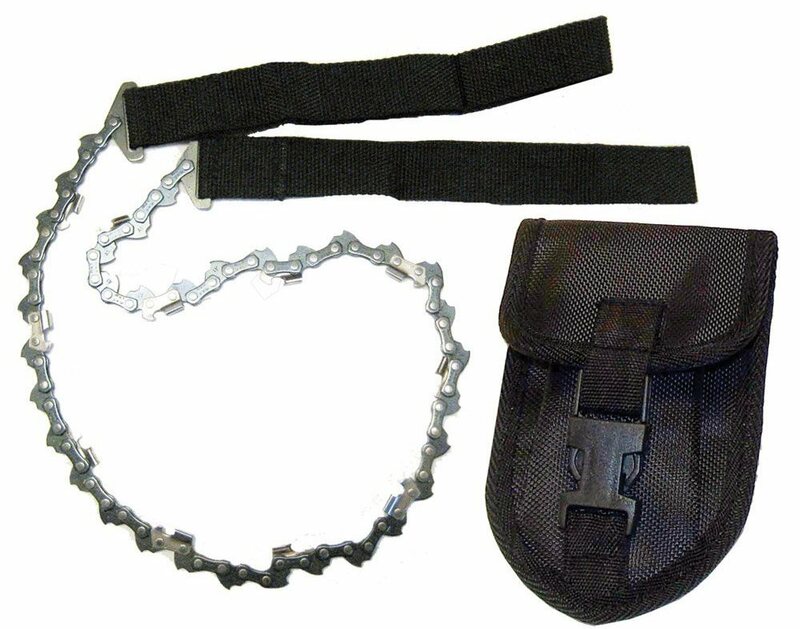 When it comes to survival saws, you have basically two styles to choose from, wire /chain and blade. wire saw is a typical example. These are foldable and light weight. Although the better quality made versions of this type of saw do O.K. for the light work they were intended to do, many people expect too much from this type of saw. With pretty thick pieces of wood, these saws tend to bind in the wood. Ultimate Survival Technologies SaberCut saw.. It comes with straps on both ends and a carrying pouch. These do a pretty good job, but once again, if you are sawing through a pretty thick log they will have a tendency to bind in the wood. Lightweight small blade saws are available that make sawing smaller wood a lot easier. You can buy small gardening hand saws at the hardware store, but if you are interested in models designed for the survival market, there are a number of choices. Gerber markets their Bear Grylls Survival Saw with a 6″ retractable blade that retracts into the handle. Silky makes a line of popular saws that are usable in the woods. Their folding Gomboy is a good example. It has an 8 1/2 inch folding blade. Selecting the right combination of edged tool for your survival kit is a matter of deciding what you actually need, and then researching and selecting the right product. Estwing makes one of the best axes in bith quality and price. They do seem to have a reputation for quality.